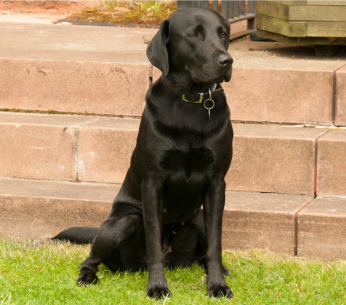 ​This is the story of Lulu, my 6 year old Labrador. 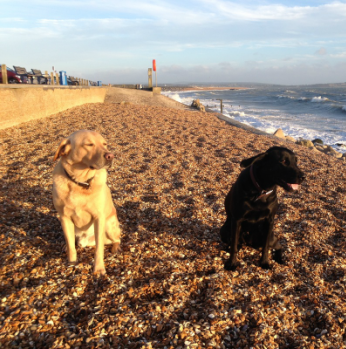 ​On the 4th February 2015, Lulu went for her usual walk along the beautiful south coast near Lymington. ​​The following morning she was showing some unusual signs, she was off her food and subdued. 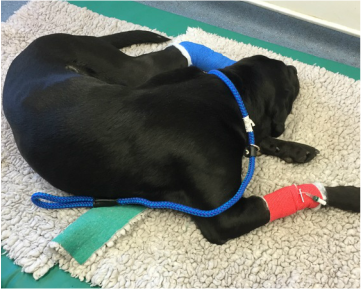 We noticed some small lesions, so having heard the stories about Alabama Rot, we wasted no time in taking her to my local vet where she stayed overnight. 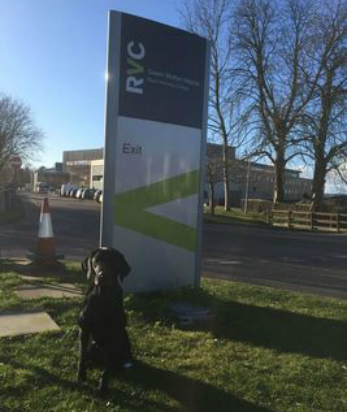 We agreed there maybe nothing to lose in admitting her to the Royal Veterinary College’s (RVC) Queen Mother Animal Hospital in Hertfordshire, to undergo a non-guaranteed treatment called Plasma Exchange Therapy (PET). The first round of PET didn't work. After the third week Lulu looked like she was pulling through. Her vitals improved and she started to perk up a little and move around again. She even showed some interest in her favourite toy - the ball! Although it does mean face licking resumes! 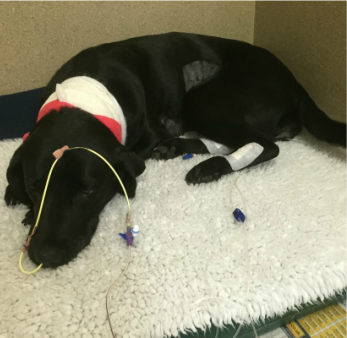 She had left hospital, but restricted to a non meat diet she wasn't eating properly. We tried everything, but nothing worked. ​Eventually we tried porridge - bingo she was eating again! 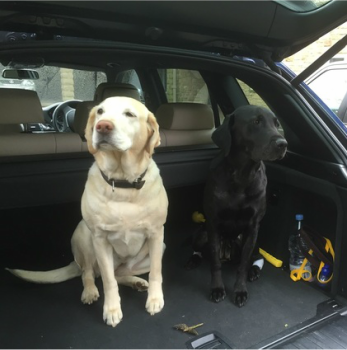 ​And to raise her spirits she went to stay with Molly, her best friend and fellow labrador. Lulu appears to have made a full recovery. 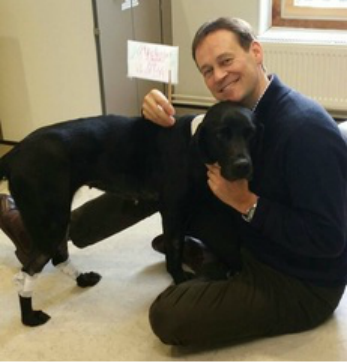 But as a result of what Lulu and I went through, we decided to set up the Alabama Rot Research Fund charity to try and stop this disease, and its awful impact on dogs and their owners. 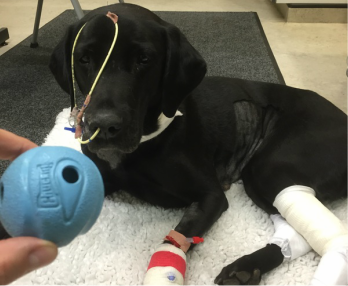 Lulu is now a top helper raising awareness of the fund, in order to try and save other dogs lives.